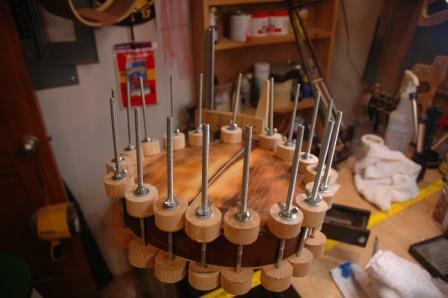 After removing the spool clamps, this little puppy is starting to look like a mandolin. 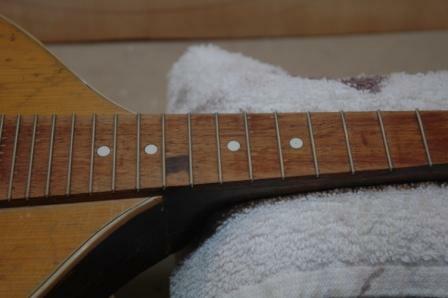 I have quite a bit of sanding and scraping to do before restoring the finish. 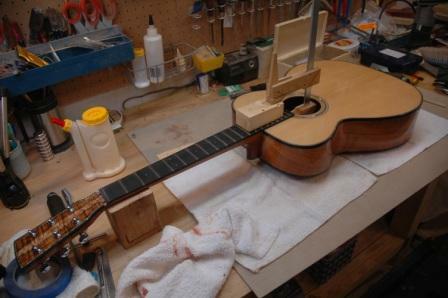 I may also install some back binding. 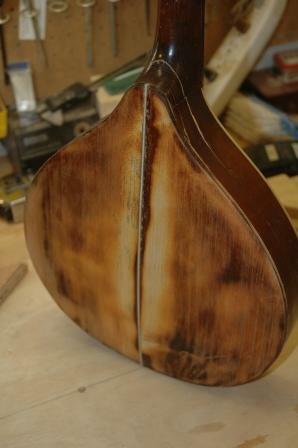 The back on this mando came loose, so I removed it, removed the loose braces, then sanded, cleaned, and rejoined back with added back strip. 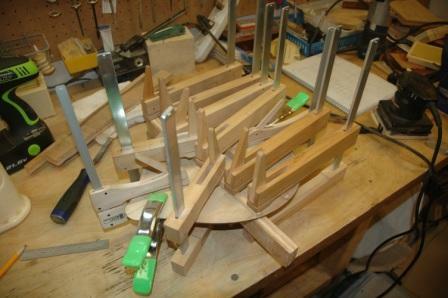 Made a jig for the back and reglued bracing. 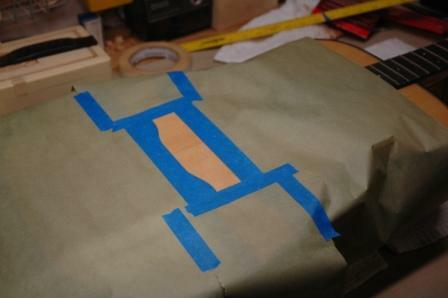 First brace fit nicely, moved to second brace and added back strip reinforcement. 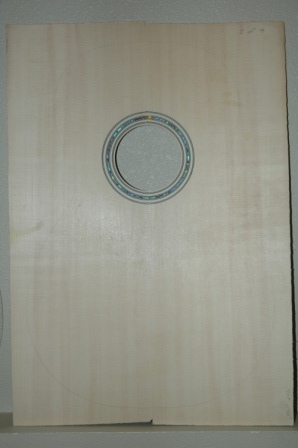 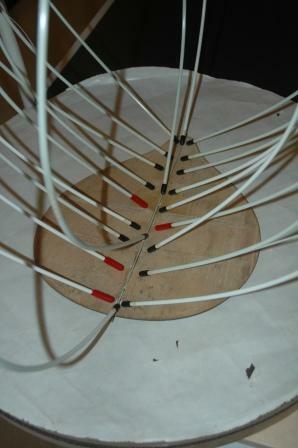 Stripped off lacquer on back, then installed onto sides with spool clamps. 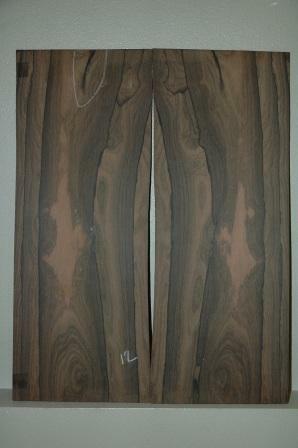 Just another look at the ziricote. 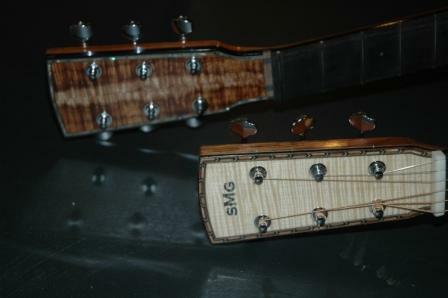 It’s fine stuff. 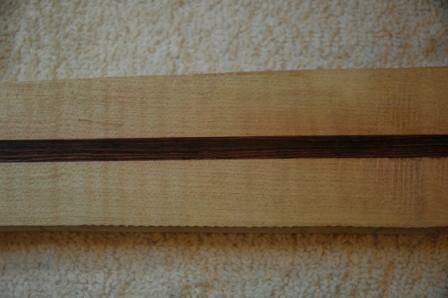 I did a little planing of the sides to square up. 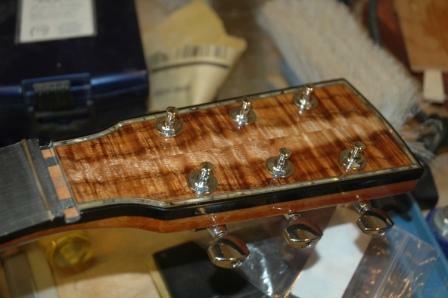 It’s a very dry flaky wood, not like anything I’ve worked with yet. 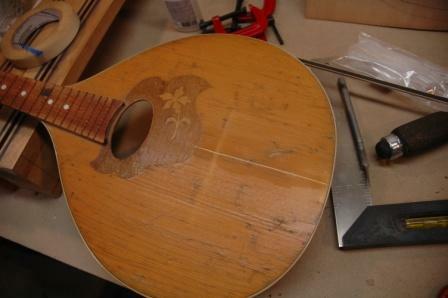 Started repair of Romanian A Mandolin. 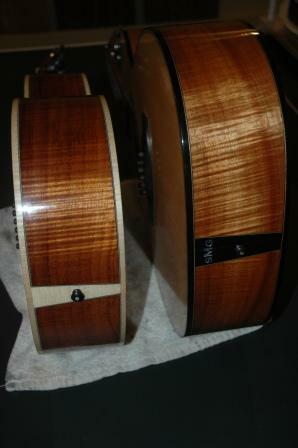 CA glued cracks in sides, and rejoined back with strip insert. 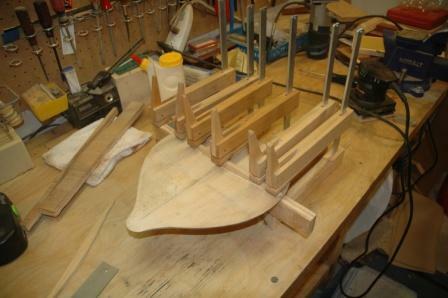 I have reshaped the back braces, and after building a clamp jig will reglue, then glue the back on again. 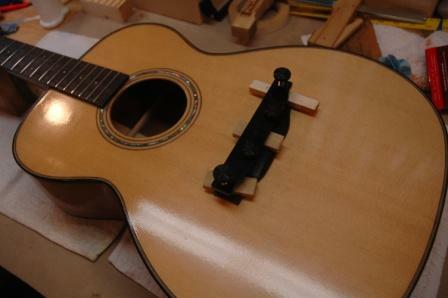 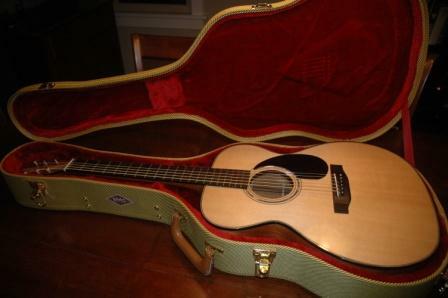 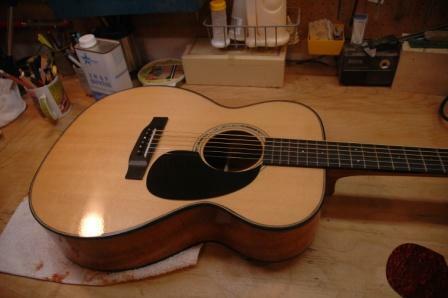 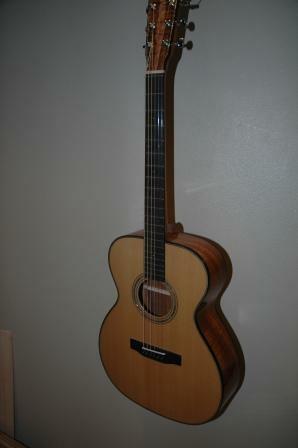 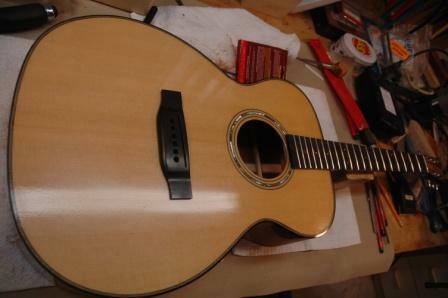 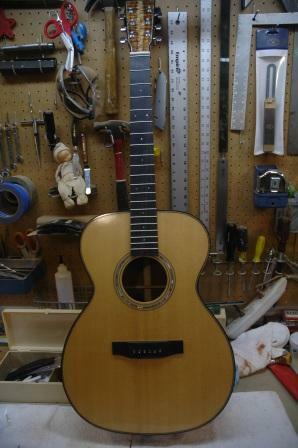 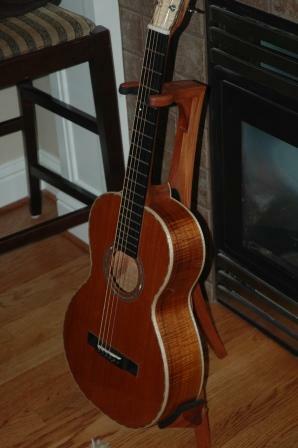 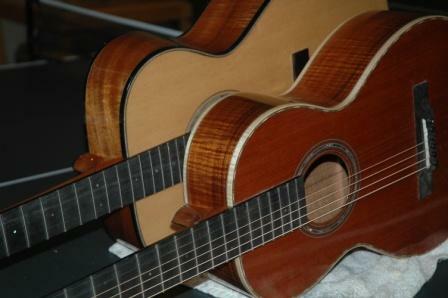 Sister Susan contacted me to build a guitar for Emily. 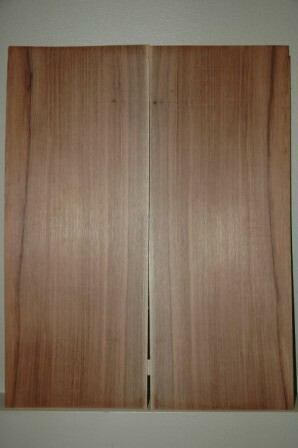 I told her to visit the site to see what was possible. 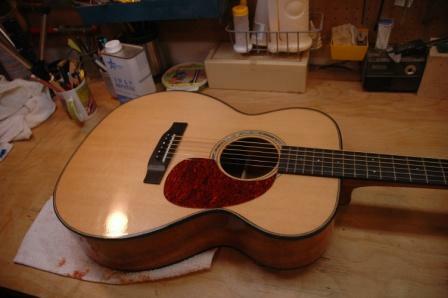 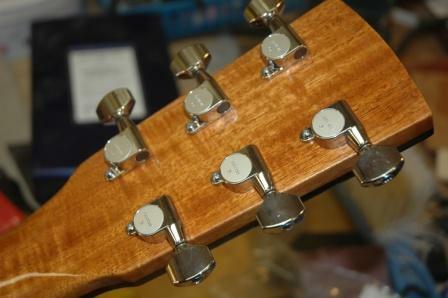 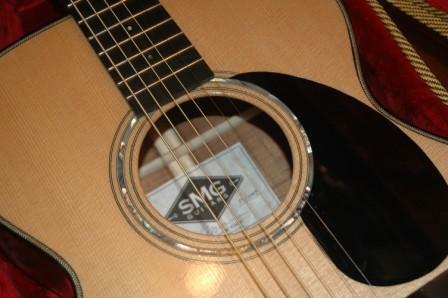 It got me thinking about my “overstock” of materials which I already have which could be used for Emily’s new guitar. 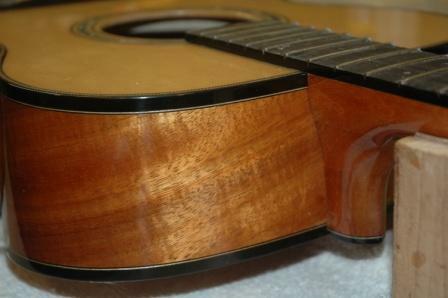 I have sitka spruce tops, engleman spruce tops, rosewood backs/sides, ovankol backs/sides, peruvian walnut backs/sides, and ziricote backs/sides. 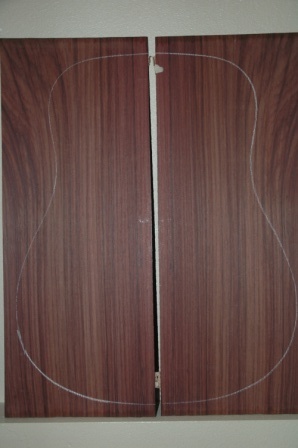 Below are some images of the wood in stock. 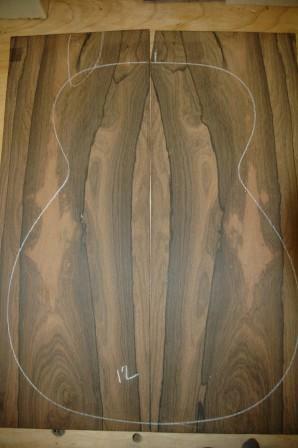 Of course, we can order anything that suits. 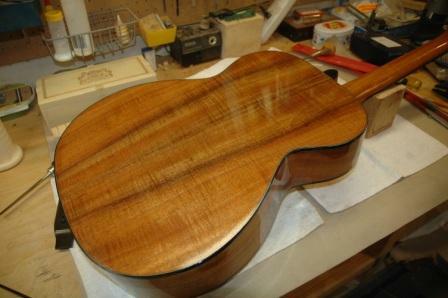 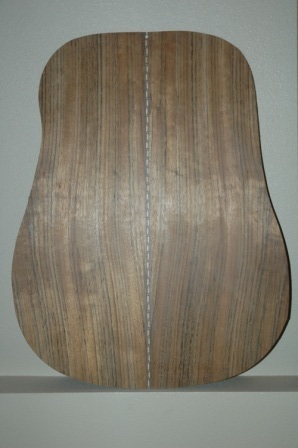 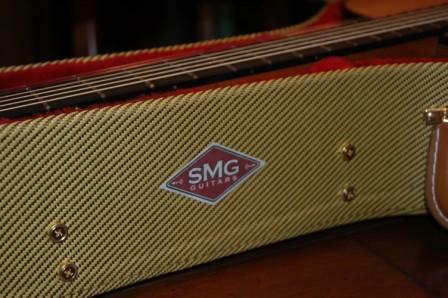 Engelman Top, profiled for parlor.